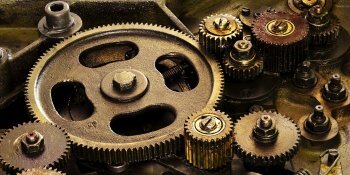 Being a cog in a larger machine can allow your organization to do amazing things. A company is usually successful because it does a small number of things really well. Sometimes, however, those things can only take them so far, and to grow further, they must develop new capabilities. If you operate successfully in one market, and you want to enter a new market quickly, how do you do that? Or, what if your sales suddenly increase, and you need a way to manufacture your product faster and more efficiently? , which are critical for long-term success, you may not want to take time, resources and attention away from this. Often the best way to find a solution is through strategic alliances. Strategic alliances link the key capabilities of two or more organizations. The result is that all parties benefit from the partnership by trading things like skills, technologies, and products. Essentially, these alliances are partnerships that companies use to solve a mutual problem, while they remain independent. A strategic alliance is not the same as a merger, takeover, or acquisition, which move two previous independent companies into one corporate structure. In an alliance, the partners share managerial control and work together to achieve mutual goals, while remaining independent organizations. A joint venture is also different from a strategic alliance. In a joint venture, the parties set up a separate company and agree to perform a specific task for a specific period of time, while they still independently run their separate businesses. Why Form a Strategic Alliance? Rather than grow from within, form a joint venture, or enter into a merger, alliances are often easier and less risky alternatives to achieve your goals.